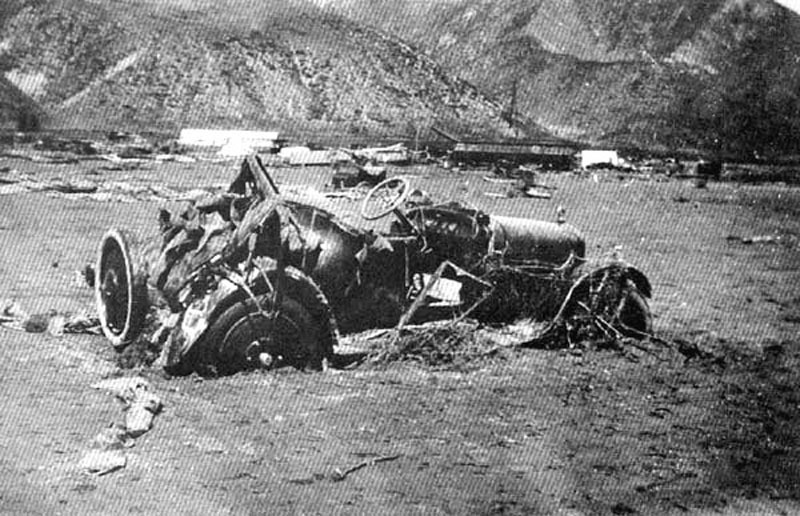 SCVHistory.com HS2801 | St. Francis Dam Disaster | Wreckage (Car). 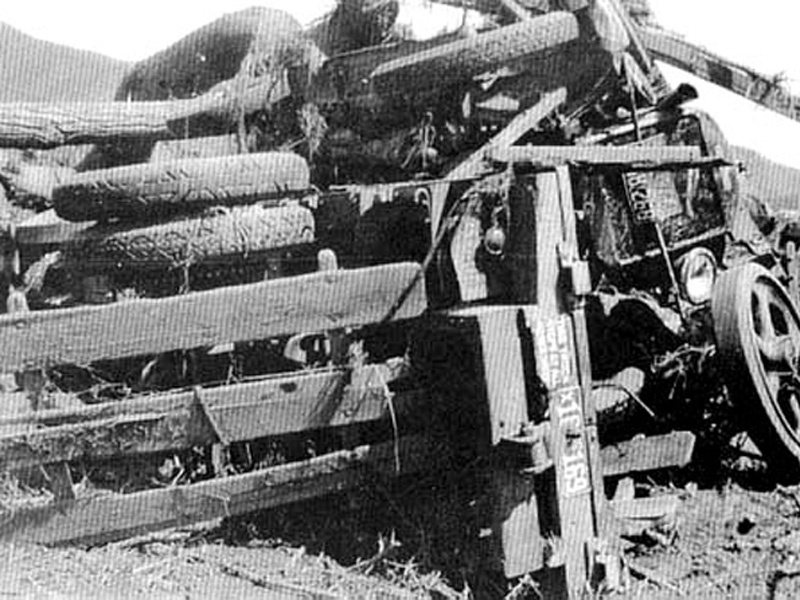 Wrecked belonging to one of the 150 men who worked at the Edison Construction Camp, just east of the Los Angeles-Ventura county line. Looking north toward what appears to be the new construction camp (the white tents in the background). List of Wrecked Edison Employees' Automobiles. The raging, muddy torrent did not discrimiate among homes, cars, giant oak trees or anything else that stood in the way. This photo is one of several that were in the possession of the late Betty Houghton Pember, daughter of Opal and Lloyd Houghton, whose Hap-A-Lan dance hall was used as a makeshift morgue after the dam break. The dance hall, located at the northwest corner of what is now Railroad Avenue and Market Street in downtown Newhall, was razed soon thereafter, at least in part because of the bad memories. Houghton sold the property to the Masons, who built a courthouse (now known as "Ye Olde Courthouse"), with a meeting hall above. HS2801: 19200 dpi jpeg from 300 dpi jpeg from original print.